This tosses up some good palate weight and texture rolling through to a soft length which just lurks around nicely. Apricot juice and yellow peach flesh scoot around. A portion of the wine sat in one and two year old French oak hence a vanilla touch. Partner with food such as chicken or crab (or pork as the label suggests). Enjoyable but not excitable. I'd share a glass with a meal. Crisp describes this wine best. A very handy debut Vermentino from Bimbadgen and the first release with new winemaker Rauri Donkin at the helm. An easy drinking wine which is dominated by apple and pear aromas with a hint of citrus flower. There's some textural interest, a result of some solids fermented in oak. Chill this down and sip away happily on a stinking hot day with seafood. I'd buy it, if it were a little cheaper. $24 is a little bit of a stretch. The members at Bimbadgen pay around $19...that's more like it. I reckon I could have done a forward somersault with pike right into this. Beautiful bright cherry appearance in the glass. A big whiff reveals berry basket aromas which are very enticing. Cherries supreme with a wash of plump black fruit. There's some fruit sweetness evident. 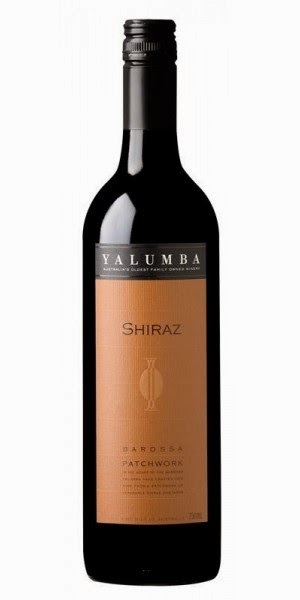 A medium bodied Shiraz which is all aromatics and fruit. Rich and deep and I loved it! Overflowing with chocolaty goodness, plums, blue and black fruits and a lick of spice. Savoury herbs and soft oak integration add value too. This is classic cold night in front of the fire sort of stuff. A super fine, long and moreish length warms your insides deluxe. Medium term cellaring, but why wait? Great value for around $20. I even spotted this advertised recently for 15 bucks. In a word, bargain! I really enjoyed this wine. It ticks all the varietal boxes with ease and delivers some elegance. And most importantly, it's a very enjoyable drop. Blackberry jam, some green capsicum and mint. The wine hits its straps the second day it was open. Lip smacking fruit which was oh so soft. A hint of chocolate swept through beautifully and rolled onto a delectable finish. I'm very much enjoying Yarra Valley Cabernet at present, and this exemplifies that. Very good indeed. Would I buy it? Absolutely! An interesting wine this more so for what is happening around it. This is the current release Merlot for Robert Channon which is a little puzzling. For a small operation he either had heaps of it and it's moving slowly or he prefers to release these wines with decent age behind them. I'm unable to answer both questions at this stage. The wines at Robert Channon are contract made. This wine was made by Mark Ravenscroft at the time, a talented winemaker who is now having great success with his own label. Mark still contracts for some wineries in the region but no longer Robert Channon. Grown on the 19 acre vineyard on the west side of Stanthorpe, you'll find saddle leather, deep plums and an underlying earthy tone. 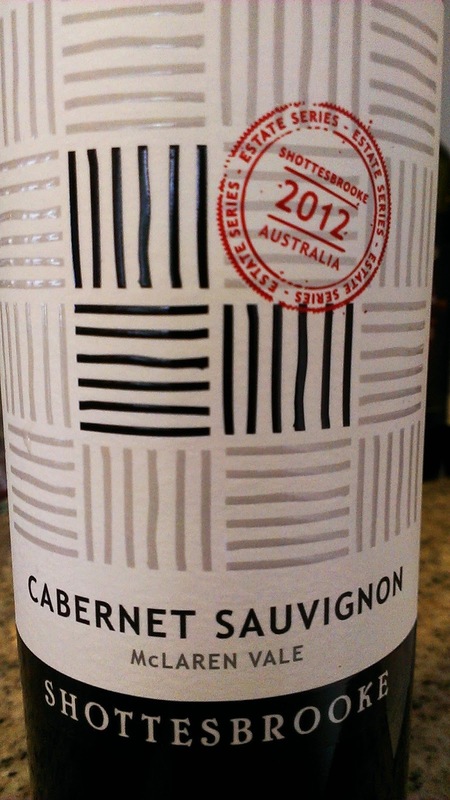 Medium to full bodied, this is a good drop particularly when the asking price is only $22.50. A good wine but nothing here that got my juices rushing uncontrollably. Plummy, some bark, red and black fruits being the key players. Medium bodied but a little lighter than expected in that realm. Respectable length. More punch and drive from the fruit would have me enjoying this a bit more. That said, it's easy enough to sip away at. Creative labelling here. Many punters couldn't care less about the difference between Pinot Gris or Pinot Grigio...so this is just called it Pinot G.
For the record, it's definitely a Pinot Gris style of wine. 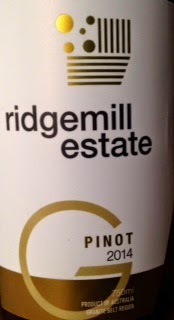 Being Ridgemill's first Pinot G, the fruit was sourced from reputable Granite Belt grower and producer Robert Channon. An ever so slight bronze appearance in the glass, the wine oozes floral aromas and is highlighted by white flowers, some citrusy characters, canned pears and a textural mouthfeel. Flavours linger on the front and mid palate. I threw this around the room and there was much heading nodding for its easy drinking appeal. I really liked this wine. It grew on me over the couple of days I had it open. Tasted blind in a line up of five 2012 Cabernets, I initially placed this as my second preferred, but after some time open it skipped up into equal top pick. The depth and alluring fruit were the highlights for me. Earthy with some red fruits, throw in a pinch of savoury herbs and a whiff of old wallet leather and there you go. Fruit and acid were balanced well and the finish was long. Deliciously long. So much so I had to lick the glass out. You probably will too. Very good and a cracking deal for twenty bucks! I'm coming to know the Estate Series range of wines from Shottesbrooke as bloody good drinking wines which deliver very well for the price point. This Cabernet hits all the right notes. Varietal characters highlighted by juicy dark plums and blackcurrants. There's even a dash of Ribena like fruit. Although super dark in the glass it's not too dense with a little fruit sweetness and grippy tannins to finish. For twenty bucks, very good! Readily available. This fizz brings together fruit from the Adelaide Hills and Yarra Valley. The drinkability of this wine is the thing that brought a smirk of satisfaction to my face immediately. Bright, fresh and crisp, there's very attractive citrus and apple flavours wrapped up with a lemony zip. From start to finish the freshness is the hero delivering a wine ready to tuck into without being too dry. Delicious and well priced. Readily available. A top wine with the softness delivered the clincher for me. Get stuck into dark fruit, earth and some savoury spice. Certainly not a juicy and vibrant Grenache. This is all charm; business like if you will. Warming and mouth filling charm, the finish is super soft, long and satisfying with a peppery spice tickle thrown in at the death. I'd happily drink this on its own to savour every drop. Tasted blind in a line up of five Cabernets from 2012, this ranked fifth and was the most expensive by nine bucks. Lacking some fruit depth, the wine wasn't as balanced as I'd like. The acid leapt out at me here, and although not too high, there was enough to get my attention. The mid palate was certainly missing in action. Juicy yet supple tannins and a good length, it just seemed to go through the motions without much spark. Not thirty-eight dollars worth for me. The organic wine market is booming and whilst some wineries claim to apply organic and biodynamic principles in the vineyard minus the official stamp, this wine carries the certified organic paperwork. This is the sort of wine you want to plonk on the table and share with friends over a meal as you chat the house down. Juicy deluxe describes this wine best. Think dark and red fruits and buckets of them. From a drinkability perspective, this gets the big thumbs up and then some. Soft and generous, the fruit drives though to a very moreish super smooth finish. If you want drinkability at a bargain price, something Angove continue to consistently deliver, grab a bottle of this. A juice bomb! Good juice this for twenty one bucks. It just smells and tastes good and can easily be knocked over. All the usual Cabernet suspects appear with a juicy plummy depth. A lift of mulberry and cherry fruit chimes in nicely. Soft and velvety in the mouth with a length which hits the spot. I'd happily recommend this to accompany some beef or a warming winter casserole. Just give it some air before you rip in and the best of it will shine including a pinch of clove. The fruit for this wine was hand picked and wild fermented. That's where the excitement stopped for me sadly. Poached pear and canned apples with some warmth from a dash spice. Very much front palate focused with little depth to really sink your teeth into. This is an excellent Tempranillo and I feel like I need something meaty on my fork to rip into it. Seriously delish and easy to throw back. Some dried rose petal aromas and great fruit depth are courtesy of blackberries and plummy goodness. The wine is balanced by seductive mid palate weight and a jab of spice to finish. Moreish deluxe. I'm off to the butcher to get me some meat. 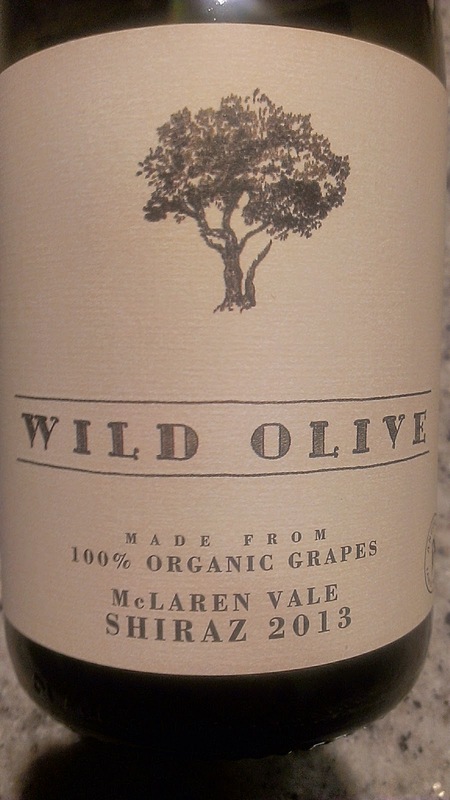 I tasted this wine blind with its sibling, the Reserve Merlot, along with a couple of others. The Reserve certainly stood out for all the right reasons whilst the others seemed to fall into the same mould. Dark cherries, damp forest undergrowth and a faint whiff of clove kicked things off here. Some good plummy fruit shouldered its way to the fore as did some Club dark chocolate action. Some grainy and sandy type tannins to finish though the fruit didn't last as long as I would have hoped. A decent wine without wow factor. I'd easily spend the extra six bucks and pick up the Reserve instead. I think I stumbled across something here. A beauty I reckon. Tasted blind, this Merlot jumped out for the right reasons and engaged me nicely. Sealed with cork (not many samples coming through are sealed like that anymore), the bottle is eye catching with Smith & Hooper proudly embossed near the neck and logo etched more towards the middle. The bottle itself is seriously heavy stuff. I reckon you could do your back in lugging a dozen of these around. And if that doesn't get you, you'd certainly go close to losing your hand in the punt! Bright in the glass, it just looks more polished. Savoury dry herbs and a lick of mint grab you with both hands. There's red fruits and plums which are deep and juicy. Oak in check with some sweetness apparent, I get a sense there is almost a garnish of grated chocolate at the death to keep you looking for more. Finishing long and super smooth, there's plenty here to keep you interested. Top stuff indeed. Enjoy within 5 to 10 years. I'd certainly buy it and share it. A good wine but there's nothing here to make you want to break into a happy dance. There's good fruit characters but that X factor or point of difference is missing. But hey, that's Merlot. Blackberries and plums, an ever so slight mint hit and savoury herbs headline the show. The fruit coats the mouth nicely and the length sits longer than expected. It's all soft and silky smooth with no rough edges. A good wine good enough to hold it's own, I just prefer something with a little more personality. 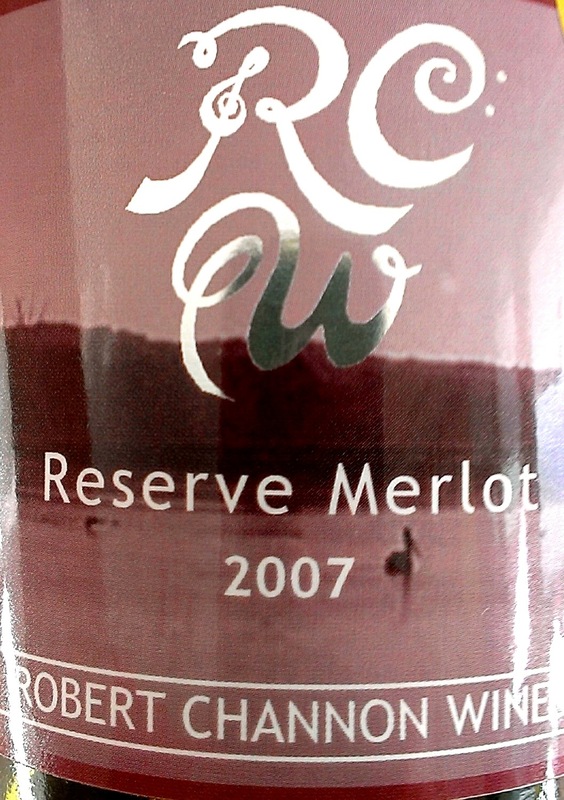 Merlot is the type of wine which needs a wingman; he struggles to go it alone. A bit like your shy friend who wants to pick up on a Saturday night but can't do it all himself. This wine gets the job done here but you do get the sense greater success would be had when it is pieced together with its best mate Cabernet. Quite dense and deep black fruit and plum aromas greet you. A slight hint of oak rolls through to a filling and soft mouth feel. A faint pinch of spice adds some further appeal. Often discounted to around the ten dollar mark, it's decent value. A simple drop which slides down with ease, a mid week tipple perhaps.